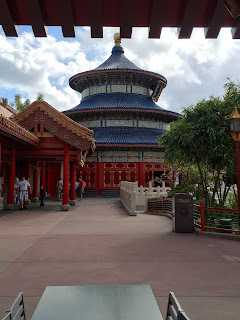 This is the view from the Lotus Blossom Cafe. 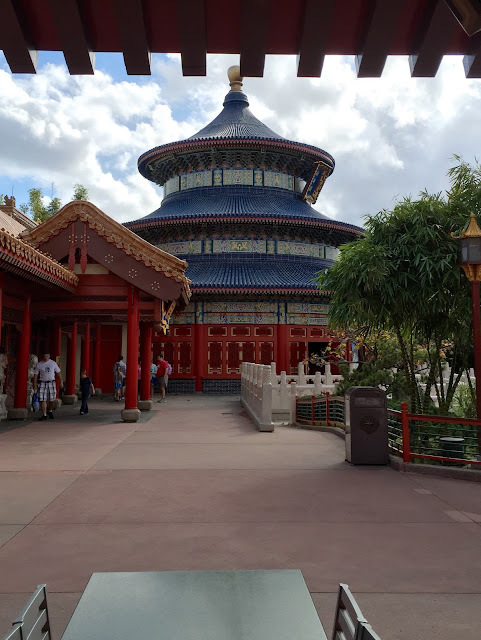 There are so many fun details in the World Showcase pavilions and China is no exception. This half-scale replica of the Hall of Prayer for Good Harvest houses an audio secret that most people don't know about. If you stand in the center of the room you can "hear yourself talk," since the circular building is acoustically perfect. I enjoyed giving my tour guests this fun little experience today.